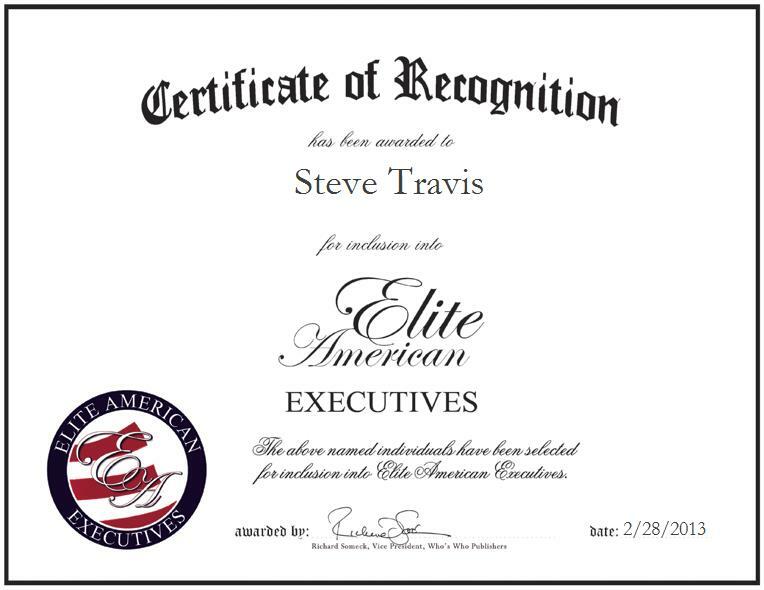 BERWYN, PA, February 28, 2013, Steve Travis, Manager of Global Credit and Collections for Tyco Healthcare, has been recognized by Elite American Executives for dedication, achievements and leadership in finance. Specializing in receivable portfolio management, collections and financial analysis, Mr. Travis shines as a luminary in his field, bringing forth a sprawling and diverse skill set to his current managerial role at a renowned manufacturer of disposable baby diapers and sanitary products for women. At his current post, Mr. Travis makes the most of his financial savvy by managing cash applications, setting policies, following protocols, and overseeing international credit functions. He is also in charge of training and educating others, and developing training programs. Over the course of an illustrious career, Mr. Travis has built his ever-emergent talents, earning a Bachelor’s Degree in Finance from The Pennsylvania State University and a Master of Business Administration from Syracuse University. He also earned a Certification from the National Association of Credit Management’s Graduate School of Credit and Financial Management. Additionally, Mr. Travis co-authored an article for the Rochester Business Journal in 1987.